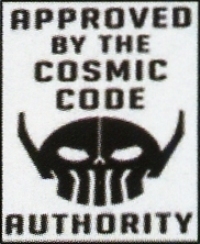 Due to their failure to pass the comic book code, Skidmore comics received limited distribution via normal channels. Where they were available, as they were mostly magazine-sized they would be mixed among the Men’s magazine section of the spinner racks. In parts of Europe however they were very popular. Their range of child-oriented comics in the mid sixties were claimed to be the first ever landscape comics in the States. The only Blog giving proper attention to this forgotten comic company is to be found right here.